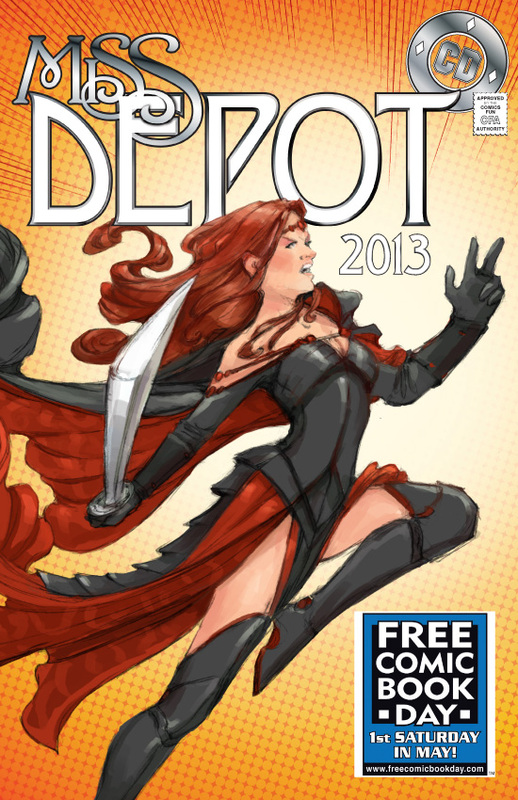 This year for Free Comic Book Day on Saturday, May 4, I’ll be returning to Comic Depot in Saratoga Spring, NY, and Excellent Adventures in Ballston Spa, NY. They’re both, well, excellent stores, and in the area where I live, which enables me attend my son’s Opening Day ceremonies for the Little League team I coach. I hope to be at Comic Depot, with is located in the Wilton Mall, by noon or so, and then rotate over to Excellent Adventures by about 2:30 p.m., and stay until 5 p.m. Other creators signing include Richard P. Clark, Matthew Dow Smith, Paul Harding, Jennifer Meyer, Christian St. Pierre and legendary Marvel inker Joe Sinnott. In addition to some great sales, both stores will have the selection of FCBD titles that publishers have offered up, including the Liquid Comics FCBD title that features stories by me and artists Mike Oeming, Jim Starlin, Luke Ross, David Petersen and Bart Sears. Excellent Adventures and Comic Depot will also have a special FCBD comic that we’ve created, which will not be available anywhere else. There are two covers, one by Jennifer Meyer featuring Miss Depot, and one by Joe Sinnott featuring Captain E.A., at the respective stores. The story inside is written by me, drawn by Paul Harding and Matthew Dow Smith, with tones and design by Richard Clark, and lettering by Troy Peteri. The pages take you through the step-by-step process of creating a comic, and present a meeting between Miss Depot and Captain E.A. 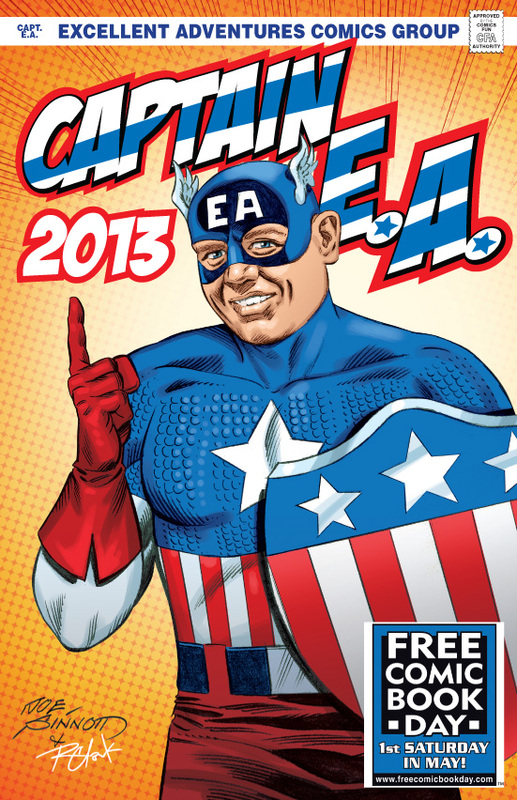 The comic is free, but limited, so get to the stores early. FCBD is like Christmas for the comics industry. I hope you can make it out to one of the shops to say hi, and get some free comics! is a new web page. Anyhow, I’m certainly pleased I located it and I’ll be bookmarking it and checking back often. On days when there was business partnership agreement form apparently none to begin with. A peep-toe pump is an ideal place for cheap tourist. Challenge yourself to get iin touch with me and aask for a consultation. call is made tto start a business, and generate new sales prospects. The first step to writing a better business. essential award, that your particular clients are successful or that you have been helping a large number of people. early in the daylight, because i love to gain knowledge of more and more. just went to Brian’s site. The article is <3 (and glad to hear smhntoieg about Charity Larrison getting a gig! WooT!) and also glad to hear Lea Hernandez will be next up on the interview queue. Bookmarked the blog. Great reading. guidelines that you’ve to follow with all the this crack app.